Scarperia (Italy), 26 May 2015 – Aprilia Racing Team Gresini is back on the track to take on one of the classic rounds of the season, the Italian Grand Prix on the Mugello circuit. 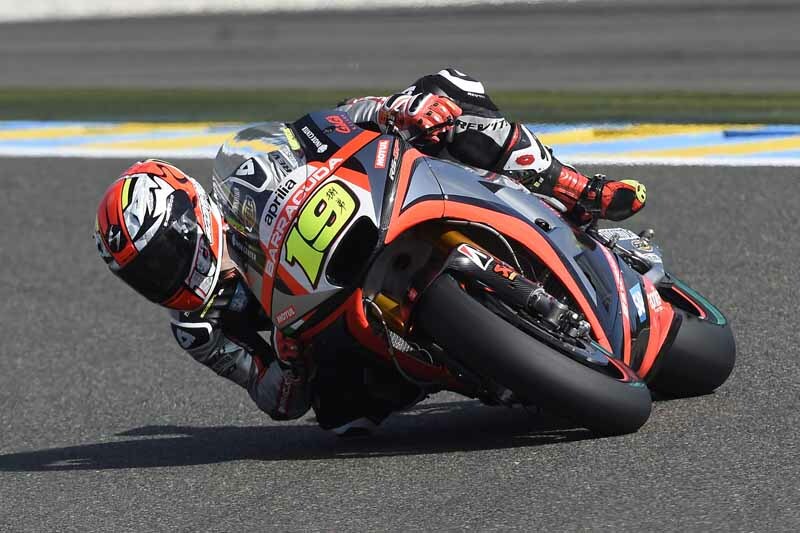 Precisely for the home Grand Prix, the Italian team will use the seamless gearbox in the race for the first time on both of the Aprilia RS-GP bikes ridden by Alvaro Bautista and Marco Melandri. The new transmission, seamless in downshifting as well, was successfully tested by Bautista in the sessions held 4 May on the Jerez circuit. Positive results encouraged the Noale Racing Division to streamline introducing this solution which, in any case, will not be the only technical change that Bautista and Melandri will be able to take advantage of during the Mugello weekend.